Africa’s fast rising female DJ, DJ Lo takes the Challenge and enters one of the biggest DJ competitions, “Emerging Ibiza 2015” DJ competition organized by Emerging Ibiza and XTRA wildcard, which host Rookie DJs every year, giving them the chance to show off their talents in the world’s party capital, Ibiza. DJ Lo aka Sensie Lo, enters Emerging Ibiza contest. 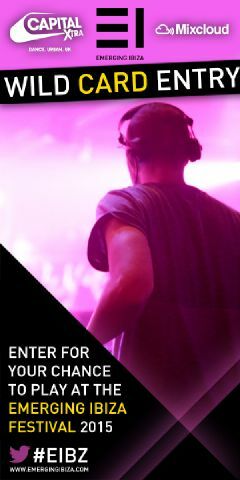 Entries for the Capital Xtra Wildcard competition are open from the 23rd February 2015 until Sunday 19th April 2015, and will be listened to and judged by a panel of judges selected by Emerging Ibiza and Capital XTRA. The judges will pick 5 entries to go through to the next stage, the public vote. The judges decision is final. The entries will be judged on track choices, mixing ability and musical flow. A public vote will then decide the winner of the Capital XTRA Wildcard competition. The public vote will conducted by a Hashtag mechanic on Twitter. 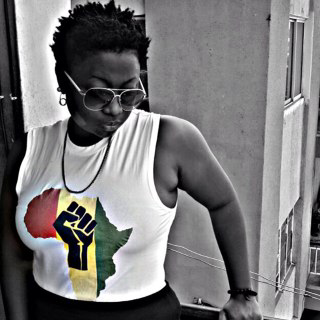 Ensure to vote DJ Lo, by clicking, retweeting, favouriting, or listening to her mix whenever @Sensei_Lo or her unique hashtag shows up on your Twitter timeline. The Capital Xtra Wildcard prize is to play a 1 hour DJ set at Emerging Ibiza & Capital Xtra’s event at Ocean Beach Club, Ibiza on the 28th May 2015 between 2:30pm & 9:30pm. The prize includes flights to and from the UK, travel and transfers to / from the airport and accommodation at the Ocean Beach hotel in Ibiza. Help DJ Lo win this one for Africa!